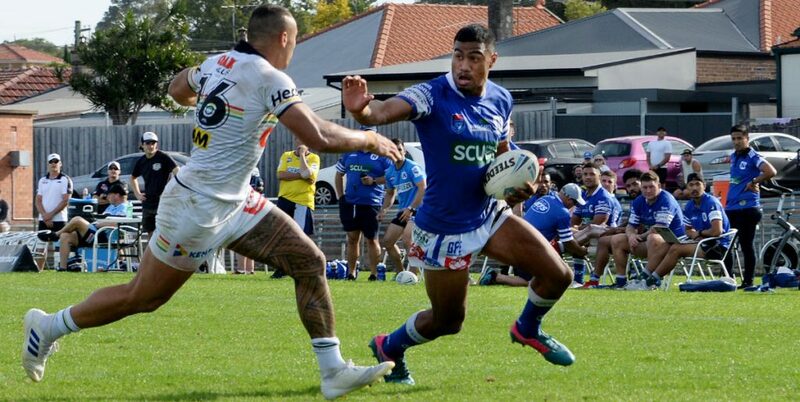 Stylish winger Jacob Gagan was in top form for the Newtown Jets against Manly-Warringah at Brookvale Oval last Saturday. Photo: Gary Sutherland Photography. 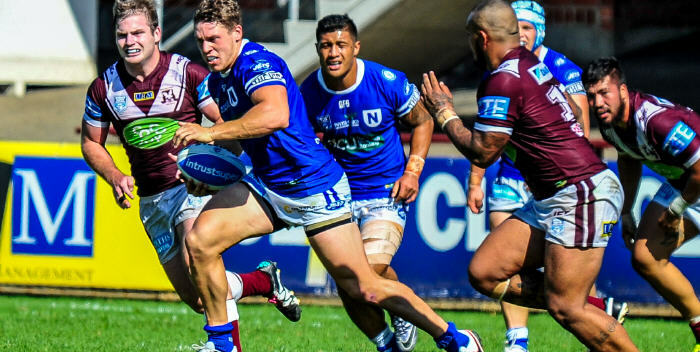 Report on the Manly Sea Eagles v Newtown Intrust Super Premiership NSW fixture, played at Brookvale Oval on Saturday, 26th March 2016 by Glen ‘Bumper’ Dwyer. 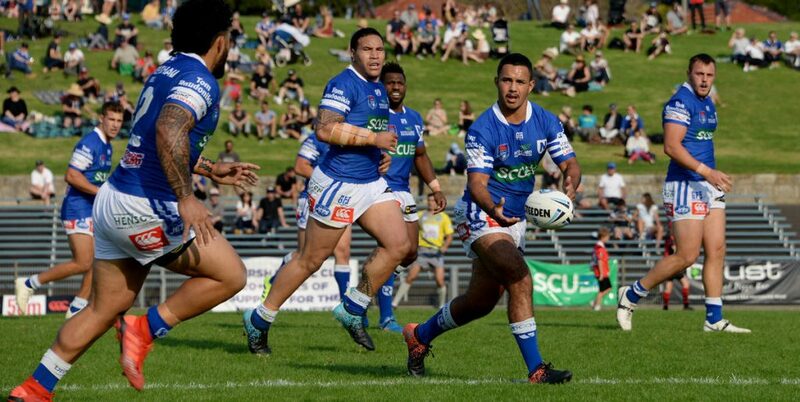 For the third game in succession, the Newtown Jets have been outscored by their Intrust Super Premiership opponents in the second half. On Saturday at Brookvale Oval, the Jets led Manly-Warringah 22-4 at half-time, but then had to survive a spirited fight-back by the Sea Eagles as Newtown held on to win 26-20. The Jets were dominant in the first half and looked to be set for a comfortable win at half-time. Newtown’s first half completion rate was high and they had made inroads through the Sea Eagles edge defence. Newtown had scored in the third minute, with Kurt Kara, Mitch Brown and Jacob Gagan all involved in sending centre Matt Evans over to score at the Pittwater Road end. Jacob Gagan scored Newtown’s second try on the end of a well-directed cut-out pass from Arana Taumata. Newtown had a big share of possession in the first half and the Manly defenders were clearly feeling the pinch of the warm playing conditions. Rampaging backrower Malakai Houma scored for the Jets following a passage of well-executed ball handling, and Arana Taumata extended Newtown’s lead to 18-0 when he cut through to score in the 30th minute. Manly proved there were flaws in Newtown’s defence when they scored their first try five minutes before half-time, but the former Ipswich Jets duo of Kurt Capewell and Josh Cleeland combined to send Gagan in for his second try, enabling the Jets to lead 22-4 at the break. At half-time Newtown’s coach Greg Matterson made it abundantly clear to his players about the pitfalls of even marginally easing off in the second half. He urged them to go out and complete the job and not let Manly back into the game. The Jets made an unpromising start to the second half, turning the ball over twice soon after play had resumed. Fa’amanu Brown and Josh Cleeland kept the show on the road as they combined to send Kurt Capewell in to score, extending Newtown’s lead to 26-4. Manly then had the better of play for the remainder of the second half as they added three more tries, and in fact were laying siege to the Jets line late in the game in the hope of pulling off a belated draw. Jets coach Greg Matterson emphasised in his post-match comments that this second half syndrome had to be addressed quickly, with Newtown facing up to a number of matches against teams further up the Intrust Super Premiership competition table. 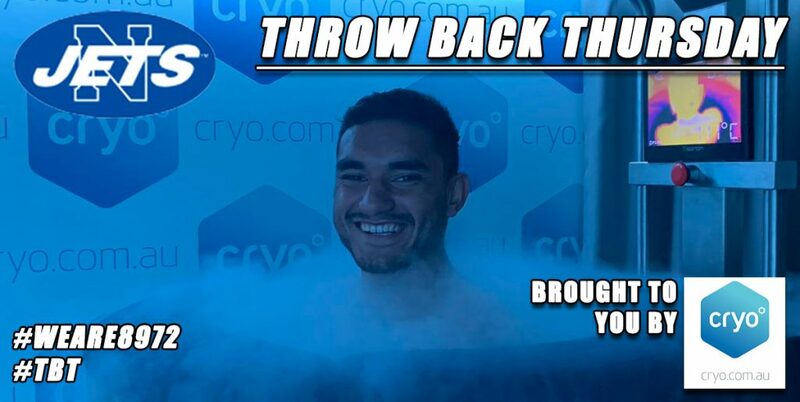 On the upside, Newtown had completed a run of three difficult away games in a row for an outcome of two wins and a narrow defeat over in Auckland. 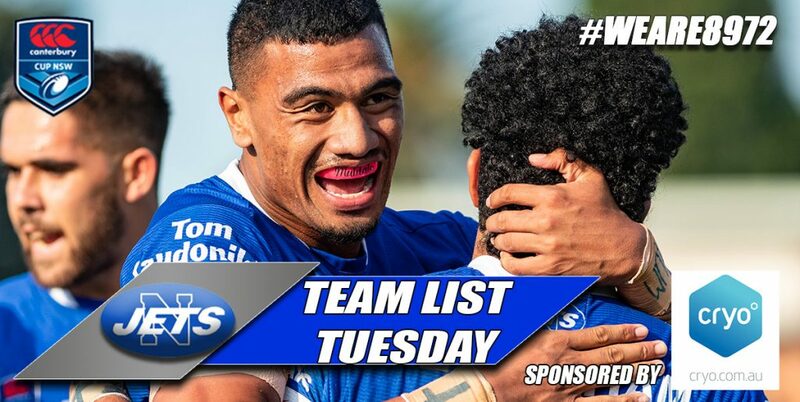 The Jets coaching staff rated team captain Mitch Brown as Newtown’s best player on Saturday with Kurt Kara, Kurt Dillon and Jesse Sene-Lefao the best of the forwards and Josh Cleeland, Jacob Gagan and Arana Taumata the pick of the other backs. 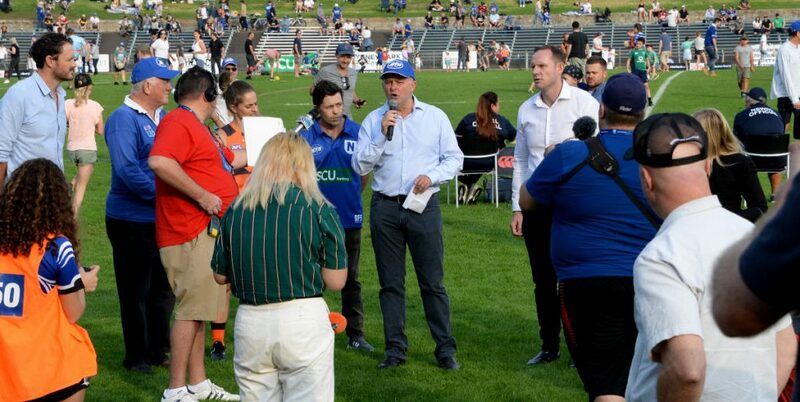 It’s back to Henson Park and the innovative Hipsters Day promotion next Saturday, 2nd April. 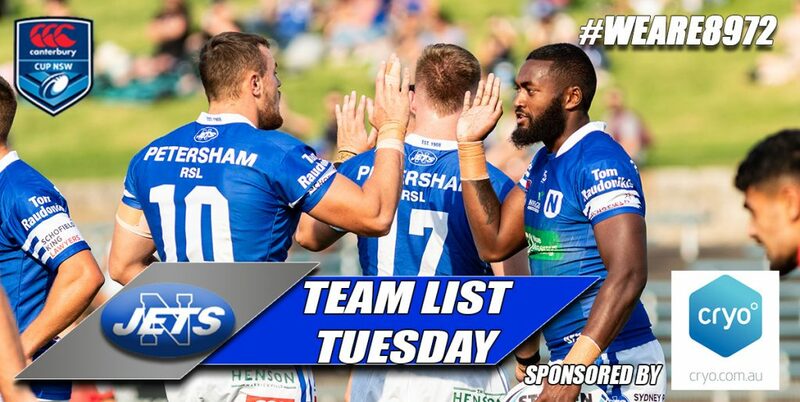 The Jets take on the in-form Wests Tigers, with this fifth round Intrust Super Premiership NSW fixture timed to get underway at 3.00pm. There are also two Cronulla Sharks junior representatives curtain-raisers starting at 11.00am.